Only In Louisiana... | A completely biased and provocative look at politics and other such things that can only happen in Louisiana. A completely biased and provocative look at politics and other such things that can only happen in Louisiana. For those of you living in the State Senate District 16, I hope you’re all aware of the upcoming special election to fill now-Congressman Bill Cassidy’s seat. The primary is scheduled for March 7th. 3 Republican candidates have qualified: local business-woman Laurinda Calongne, who lost the special election primary for Congress against Woody Jenkins last year; Dan Claitor, who lost the East Baton Rouge District Attorney’s race in the past election; and political new-comer Lee Domingue, a local businessman. Calongne launched her campaign website after qualifying, and has since re-done the layout. However, still at the time of this writing, there are already several of what commentators are now calling “missteps” of her campaign. Calongne seemingly takes a jab at her opponents’ donors, particularly those of Lee Domingue, by stating that “Her campaign isn’t financed by the politically powerful.” However, many 0f these same donors supported Calongne in her run for Congress. Is it only okay to have the backing of the “politically powerful” when they’re supporting Calongne? Calongne’swebsite is filled with statements about how her campaign won’t be based on the “same old tired political rhetoric.” However, Calongne has yet to present what the platform of her campaign even is. At the time of this writing, her “Issues” section under her website even says: “Starting next week Laurinda will address an important issue and potential solutions.” An important issue? Like, there’s only one? After an evaluation of all the candidates in the race, it is abundantly clear to us that Lee Domingue is the best man for the job. Lee is a Conservative with the vision, the purpose, and the support this district needs to accomplish great things for our state. You can read a lot about him and his multiple issues at his incredibly well-done website. If you’re on Facebook, join his group. Let’s hop on the Domingue train, and get this election won. Just in case anyone in the 6th Congressional District had any doubts: Don Cazayoux is not going to pave the way to bi-partisanship, and he’s apparently not going to step out of the cookie-cutter, liberal, Democrat mode. The following is a clip from a Cazayoux campaign rally…and if you think Cazayoux will do anything to reach across the aisle, or anything to uphold conservative values that this district has, you might want to take a second look. Yay, a new ad from the LAGOP about Cazayoux. Record: Cazayoux joined his liberal democrat leadership to oppose energy reform at least 21 times. Cazayoux says one thing in Louisiana, but he’s doing something different in D.C.
All very good points that I’m glad the Party is putting out there for us to know. When Cazayoux ran a few months ago, he came off very much as the “conservative Democrat” who was going to work across party lines to get things done, particularly in the realm of the energy crisis. But, as the above ad so poignantly pointed out, there has obviously been a big difference between Cazayoux’s conservative idealism here at home and his voting record in Washington. I’m excited about the prospect of Dr. Bill Cassidy becoming our next Congressman. Dr. Cassidy has my sincerest respect, and I plan on continuing to support his efforts during the upcoming campaign season. I encourage you to consider supporting him as well…get a yard sign, volunteer to walk your neighborhood or make phone calls! Get involved. This is our chance. I certainly hope that the well-being of the American people is worth more to our Congressmen than one week spent making fun of France and bashing Speaker Pelosi and the rest of her cohorts. On the flip-side, I also sincerely hope that Speaker Pelosi and her fellow Democrats won’t take too long in coming around and realizing that the American people need something done about the pain at the pump, preferably before they take their little summer vacay. Also, Louisiana Congressman Jim McCrery of the 4th District was still with is fellow Republicans as of Tuesday, but was not counted as present when the above role was taken on Wednesday (August 6). The GOP Leader Blog has been live-blogging the stuffing out of the fiasco, and there are some gems of quotes amongst the entries. Check it out. “When Americans face a crisis, they don’t take a five-week vacation; they go to work and find solutions. That is exactly what Congress needs to do. The time to act is now. Throughout our nation’s history we’ve had many challenges and many crises, and each one we looked in the eye and dealt with here in the U.S. House of Representatives. This summer a lot of people in Louisiana and around the nation are cancelling their vacations because the price of gas is too high. However, House Speaker Pelosi thinks it is more important to take a five-week vacation rather than dealing with this national energy crisis. Campaign season! Woohoo. We have quite a few high-profile races coming up this fall, but the one I’ve been focusing more intently on is the Baton Rouge-based 6th Congressional district. Most of us remember former Congressman Richard Baker taking a new job in February and leaving the seat open. During the special election, former state legislator Woody Jenkins won the Republican primary over Baton Rouge businesswoman Laurinda Calogne. Woody then went on to lose the general election to Don Cazayoux, the first Democrat to take that seat in 30-something years. And now, in just a few months, we’ll have the same election to fill the next full 2-year term. Cazayoux will, of course, run again, and State Senator Bill Cassidy has also qualified to run as a Republican. The big question, then, was “Will Woody run again?” Thankfully, the answer is no. The Advocate reported today that Jenkins has decided not to run for the sake of “party unity”. We commend and appreciate Mr. Jenkins for making the decision to step down from this race. 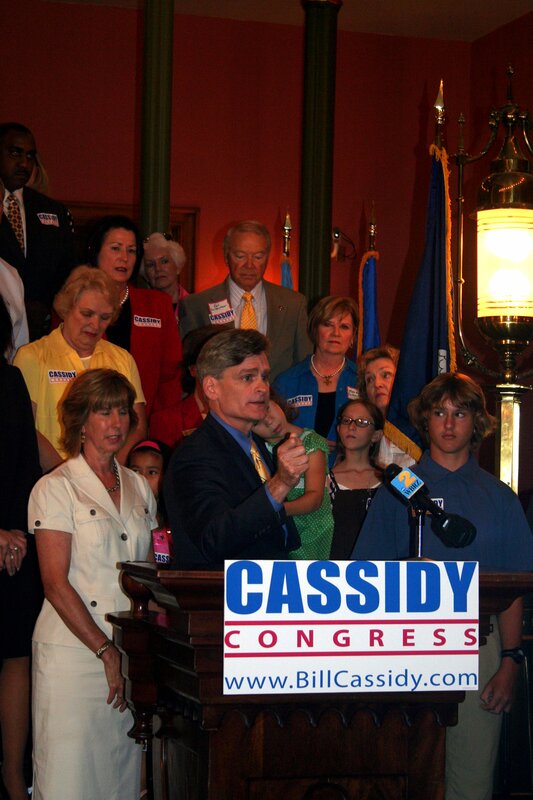 As for us, we’ll be supporting Dr. Bill Cassidy for Congress this fall. Dr. Cassidy is an extraordinary man who has served communities in Baton Rouge and Louisiana for years. He has an impeccable record in the state legislature, and has been endorsed by Governor Bobby Jindal. Check out his website to learn more about him and the issues he stands for. We look forward to a great race in Baton Rouge this fall, and to covering all the campaign news around the state. State Sen. Ann Duplessis said the legislative pay raise issue was skewed by those who do not believe elected officials are credible. As an example, she pointed to the photo of her Mercedes that popped up on the Internet before the governor vetoed the pay raise. Duplessis, D-New Orleans, said the car is part of her compensation package as a banker. “It’s a 10-year-old, broken down vehicle,” she said. Uhm, excuse me? Senator Duplessis, really. 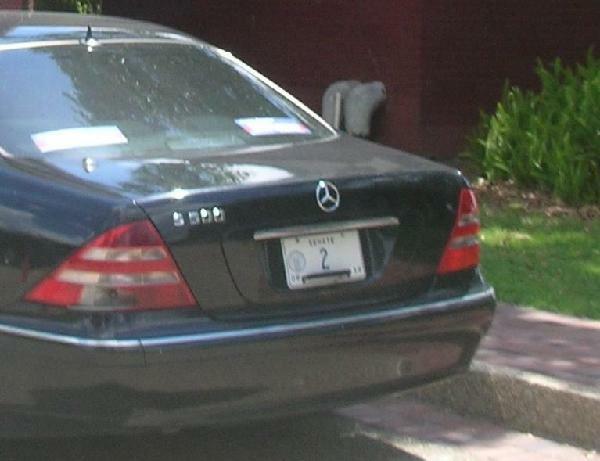 Thanks to good-government organizations like the Louisiana Action Council, we all saw the pictures of your pretty little Benz, and it’s quite obvious to anyone with at least one functioning eye that you don’t drive a “10-year-old, broken down vehicle”. How stupid do you think we are? But just to prove how very right we are, observe the following. Now, I’m no car expert, but it only took about 30 seconds of glancing at both of these pictures to figure out that they’re not the same car, and the first one is obviously a newer model than the latter. Shocker. Something else I found humorous was that over the weekend, the 2007 disclosure forms from every member of the legislature were released. And guess what? Senator Ann ‘Mercedes’ Duplessis’ husband reported being paid $43,500 by Churchill Downs Louisiana Horse Racing Co. Huh. That’s weird. Again, we’re not really trying to keep this issue alive. 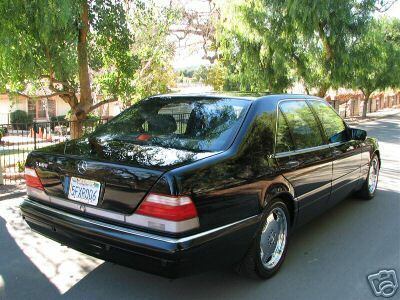 I mean, I’d much rather look at other things besides pictures of old S-class models all morning. But just FYI, Senator Duplessis: If you keep this going, we don’t at all mind clarifying the pile of lies and other assorted deceit you insist on attempting to feed to the general public. Sorry I’ve been out of pocket for a few days…life happens, I suppose. The heat surrounded the legislative pay raise has, of course, died down since Governor Bobby Jindal vetoed the bill. Since then, both recall petitions filed against PBJ have been withdrawn. It appears that the effort to recall Speaker Tucker at www.recallpayraisetucker.com has also been withdrawn. The www.recallmichot.com site has been turned into a watch-dog organization to keep a very close eye on Mike Michot. Recall Them All still seems to be up and running, but with the individual recalls withdrawn, I don’t really see much coming out of that.